Analysis: Smith was rarely much of a factor in the offensive gameplan outside of a lone spot start in Week 17 while filling in for a resting Ezekiel Elliott. His longest play went for just 14 yards, and his 2.2 YPC was among the least efficient in the league. It wouldn't be a surprise if the Cowboys move on when Smith becomes an unrestricted free agent at the beginning of the league year. Analysis: Smith started in place of the resting Ezekiel Elliott, finishing with double-digit carries for the second time in his NFL career. He averaged just 2.9 yards per carry, but he was able to salvage his day from a fantasy perspective with a one-yard touchdown plunge in the fourth quarter. With Elliott rested and ready to handle a heavy workload, Smith should play a minimal role during the team's wild-card game next weekend. Analysis: With Elliott dominating the backfield, per usual, in 2018, Smith has earned the occasional touch en route to 32 rushes for 92 yards and seven catches (on nine targets) for 46 yards. 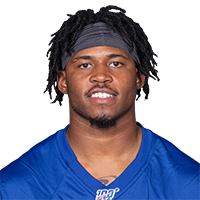 Smith does have one career start under his belt -- Week 11 against the Eagles last season -- but managed just eight carries for 11 yards. Smith lost seven yards on two carries during Sunday's 27-20 win over Tampa Bay. Smith ran for 14 yards on three carries during Sunday's 23-0 loss to the Colts. Analysis: Smith has now carried the ball at least three times in three straight games after just five carries in his previous five games combined. He's averaged 4.3 yards per carry during that span. Look for Dallas to ride Ezekiel Elliott even more than they already have down the stretch as they look to secure the division crown. What carries Smith does garner will be up against one of the league's worst run defense, a Tampa Bay squad giving up 4.8 yards per carry. Smith ran for 27 yards on four carries and added 16 yards on two catches during Sunday's 29-23 win over the Eagles. Smith ran for seven yards on two carries during Thursday's 31-23 win over Washington. Analysis: The trickle of production continues for Smith. The Ohio State product hasn't accumulated five touches in a game since Week 6 and has tallied double-digit yardage just once in that span. Lack of opportunities aside, Smith faces a tough draw Thursday. The Saints have been among the best in the league against the run, holding opponents to 3.6 yards per carry. 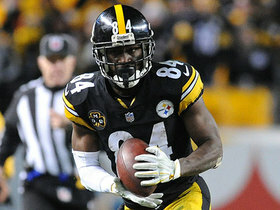 Smith failed to gain a yard only his only carry and caught both his targets for eight yards in Sunday's win over the Falcons. 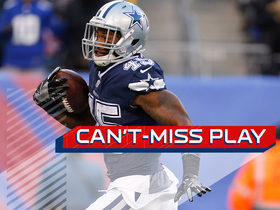 Analysis: With Ezekiel Elliott seeing a huge workload and averaging 5.7 yards a carry over the last three weeks, the Cowboys have had little reason to try to work Smith into the game plan. Don't expect that to change down the stretch as the team tries to capture an NFC East title that seemed highly improbable before its Week 8 bye. Smith rushed for eight yards on two carries and added a 14-yard reception during Sunday' 27-20 win over the Eagles. Analysis: The 22 total yards tied a season high for Smith, who notched his first carries in almost a month. Smith has accounted for just 7 percent of Dallas' carries this season in a run game dominated by Ezekiel Elliott and, to a lesser extent, Dak Prescott. Sunday brings a matchup against a Falcons defense among the worst in the league against the run, giving up 5.2 yards per carry. That's probably good news for Elliott and Prescott more so than the seldom-used Smith. Smith caught one of two passes for eight yards during Monday's 28-14 loss to Tennessee. Analysis: Smith has now failed to record a carry in two consecutive games and has not topped 10 total yards since Week 4. Dallas remains an offense built around running with starter Ezekiel Elliott and quarterback Dak Prescott. As Elliott is also a great receiver, Smith doesn't add much as a third-down back. He's not worth considering Sunday, even against a Philadelphia defense giving up 4.5 yards per carry. Smith gained four yards on five carries during Sunday's 40-7 win over the Jaguars. 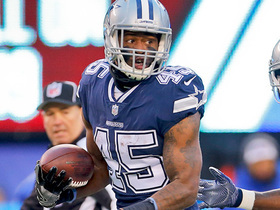 Analysis: Smith doesn't get much action in a backfield featuring Ezekiel Elliott and Dak Prescott, and he hasn't done much with his limited opportunities, averaging just 2.7 yards per carry on the season. Sunday's matchup with Washington does not figure to offer much reprieve as Smith and the Cowboys face the league's 12th-ranked run defense at 4.1 yards per opponent carry. Smith carried the ball three times for 10 yards during Sunday's 19-16 loss to Houston. Smith carried the ball six times for 22 yards and caught his only target for no gain in Sunday's win over the Lions. Analysis: Ezekiel Elliott saw a heavy workload en route to a monster performance -- 240 yards from scrimmage -- which per usual left minimal touches for his backup. Smith will once again have to make do with scraps when the Cowboys head to Houston in Week 5. Smith carried the ball once for five yards and failed to bring in his only target in Sunday's loss to the Panthers. Analysis: As expected, Smith's workload was small playing behind Ezekiel Elliott. The Cowboys' No. 2 back could at some point see more touches if the team ever gets a chance to give Elliott a breather, but the team's limited offensive showing in Week 1 promises a lot of close contests ahead, and few opportunities for Smith. Smith rushed seven times for 17 yards while catching all three of his targets for 24 yards and losing a fumble in Sunday's 27-3 preseason loss to the Cardinals. Analysis: Arizona's first-team defense bottled Smith up throughout the first half, though he did flash some nice pass-catching ability. Smith seems to have the edge over Bo Scarbrough -- who gained 21 yards on seven carries in this one -- for the backup job behind Ezekiel Elliott. Smith carried eight times for 32 yards and caught one of two targets for an additional six yards during Thursday's preseason opener against the 49ers. Smith will compete with Tavon Austin and seventh-round rookie Bo Scarbrough for backup work behind Ezekiel Elliott, Jon Machota of The Dallas Morning News reports. Smith finished the regular season with 232 rushing yards and four touchdowns on 55 carries while adding 19 catches on 23 targets for 202 yards and a touchdown through the air. Analysis: Buried on the RB depth chart to begin the season, Smith opened some eyes with an impressive showing despite limited touches against the 49ers in Week 7, then scored five TDs over a four-game stretch later in the year while Ezekiel Elliott served his suspension. With Alfred Morris potentially not returning to Dallas next season, Smith could head into 2018 as Elliott's top backup. 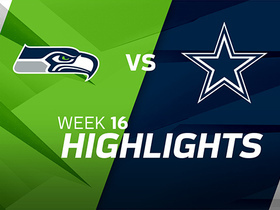 Smith (illness) is inactive for Sunday's game in Philadelphia, David Helman of the Cowboys' official site reports. Analysis: In Ezekiel Elliott's return from a six-game suspension Week 16, Smith served as the change-of-pace option over fellow running back Alfred Morris, picking up seven offensive snaps to none for the veteran. However, an illness has followed Smith into the weekend and won't allow him to suit up for the season finale. Expect Morris to earn any backfield reps that don't go to Elliott on Sunday. Smith (illness) is listed as questionable for Sunday's game in Philadelphia, Jon Machota of The Dallas Morning News reports. Analysis: Smith was added to the injury report Thursday and held out of practice again Friday. Players typically don't miss games due to illnesses, but the Friday absence does create some concern. Ezekiel Elliott and/or Alfred Morris could pick up a few extra snaps if Smith is ruled out when the Cowboys release their inactive list at approximately 11:30 a.m. ET on Sunday. Smith is dealing with an illness and isn't expected to practice Thursday, Jori Epstein of The Dallas Morning News reports. 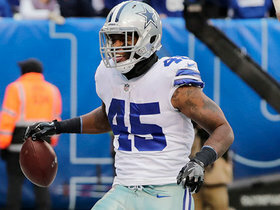 Smith is expected to handle reduced snaps in the Cowboys' final two games of the regular season with Ezekiel Elliott set to return from a six-game suspension, Todd Archer of ESPN.com reports. Smith rushed for 13 yards and a touchdown on seven carries and added 21 yards on three catches during Sunday's 20-17 win over the Raiders. 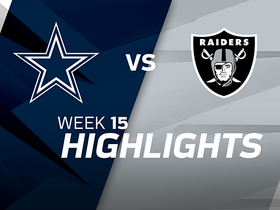 Analysis: Smith gave Dallas a two-score lead early in the second quarter when he plunged into the end zone for a one-yard touchdown. The Ohio State product has, Week 14 against the Giants aside, provided little in terms of yardage, but he's been an effective weapon in the red zone. Sunday's touchdown was his fifth in his last four games. Don't expect that kind of production to continue with fellow Buckeye alum Ezekiel Elliott prepared to return. Smith carried six times for 47 yards and a touchdown during Sunday's 30-10 win over the Giants. He also caught all five targets for 113 yards and a touchdown. Analysis: Smith was having a rather pedestrian day until the fourth quarter, when he broke loose for an 81-yard touchdown reception before adding a 15-yard scamper for a score to put the game away. The 160 scrimmage yards were easily a career high for the third-year back, who's now scored four touchdowns in the last three games. Ezekiel Elliott still has a game to serve on his suspension, meaning Smith could play a large role again next Sunday night against the Raiders. Smith rushed 10 times for 27 yards and a touchdown and failed to bring in his only target in Thursday's 38-14 win over the Redskins. Analysis: Smith powered in from one yard out with 2:37 remaining, logging a touchdown for the second straight contest. The 25-year-old back played second fiddle to Alfred Morris on the night, as the latter notched a robust 27 carries against his former team. Smith has shown some rushing upside on a couple of occasions this season and has seen red-zone work in the last two games, keeping him in consideration for those desperate for running back help in deeper formats as fantasy playoff season begins. 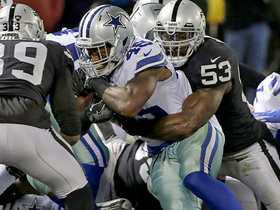 Smith carried the ball nine times for 41 yards and the Cowboys' lone touchdown in Thursday's 28-6 loss to the Chargers. Smith carried the ball eight times for 11 yards in Sunday's loss to the Eagles. Analysis: While Alfred Morris was able to find some running room, Smith was held in check, with his longest run going for only five yards. He should continue playing second fiddle to Morris in the Dallas backfield, and providing minimal fantasy value, for Thursday's game against the Chargers. Smith carried the ball three times for 14 yards and caught four of his six targets for 15 yards in Sunday's loss to the Falcons. Analysis: As expected, Alfred Morris got the bulk of the carries with Ezekiel Elliott (suspension) not available, but Smith served as the clear No. 2 in the Cowboys backfield ahead of Darren McFadden. Smith will likely see a similar workload, with similar results, in next week's tough matchup against the Eagles. Smith will take on an increased workload after Ezekiel Elliott's six-game suspension was reinstated Thursday, Jane Slater of NFL Network reports. Analysis: Smith has only received carries in two games this season, but Thursday's decision from the Second U.S. Circuit Court of Appeals will change that. The Cowboys appear committed to Alfred Morris as the No. 1 back, but Smith and Darren McFadden will also get in on the act. On the campaign, Smith has racked up 10 carries for 69 yards and two catches (on three targets) for 23 yards. Smith's teammate Ezekiel Elliott is eligible to play in Sunday's game against the Chiefs, Dan Graziano of ESPN.com reports. Analysis: Smith was expected to serve as the No. 2 running back, but he'll instead handle his usual No. 3 role, which means he'll likely get most of his playing time on special teams. Smith could be involved in the offense Week 10 in Atlanta, as Elliott may have to begin serving his suspension next week. Smith will serve as the Cowboys' No. 2 running back behind Alfred Morris during Ezekiel Elliott's suspension, Jane Slater of NFL Network reports. Carolina Panthers wide receiver Damiere Byrd almost takes a punt to the house, but he has to settle for 30 yards after making multiple defenders miss on the return. 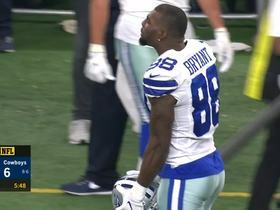 Dallas Cowboys wide receiver Dez Bryant is frustrated with the game and show his emotions on the sideline. 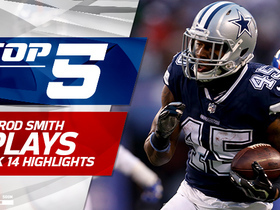 Watch the top five plays from Dallas Cowboys running back Rod Smith's impressive Week 14 performance. New York Giants safety Landon Collins bats this pass on 3rd down, but Dallas Cowboys running back Rod Smith manages to convert anyway.